Ashmead Combined School in Aylesbury can now set up their lunchtime furniture in 8 minutes – that’s seating for 240 students! The six double Wall Pockets which seat approximately 240 pupils takes around eight minutes to set up; a massive time saving on their previous furniture. 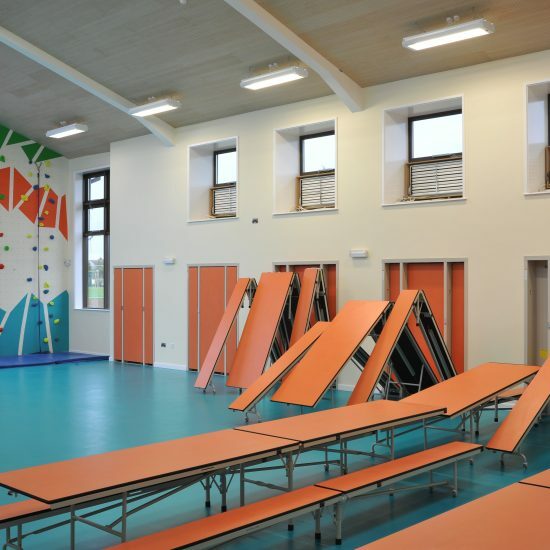 This time saving in turn allows the hall to be used as a sports facility for longer each day. The fold-away system ultimately pays for itself as the need for fewer staff to set-up is saving the school money on a daily basis. Proving that the Wall Pocket system can be used for so much more than just lunchtimes, this school also use theirs for lectures and other hall events, as the tables and benches can independently be laid out – perfect for school assemblies. Versa’s Wall Pocket system is ideal for multi-function halls or school spaces where there is a lack of room to store dining furniture. 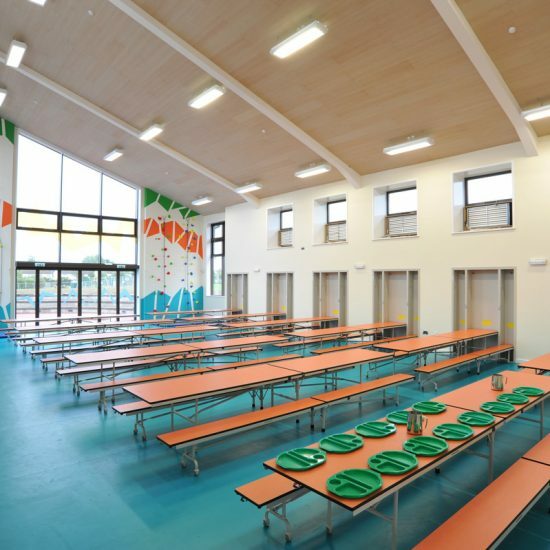 The simply-installed folding tables and benches are stored within a neat ‘pocket’ which is installed against, or into, the school hall’s wall. 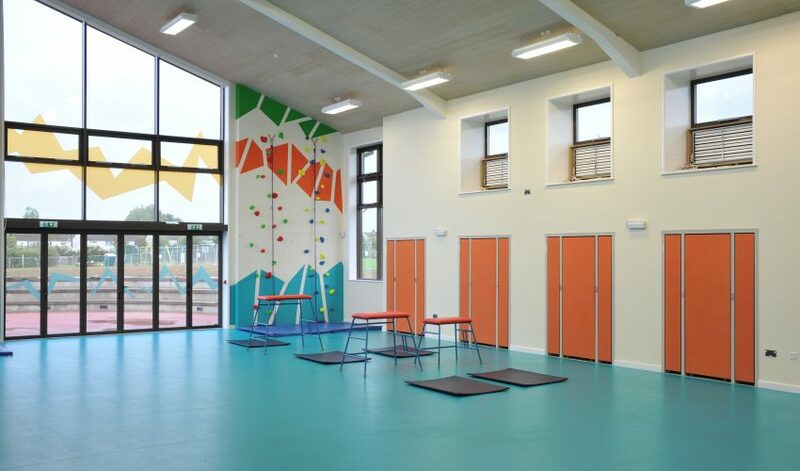 The pressure on schools to get the most out of their hall means that anything that increases capacity, saves on the staff-time cost of setting out traditional furniture, or releases existing storage areas for other uses, is always welcome. The Wall Pocket system does exactly that. The home of versatile, flexible and space-efficient furniture for multi-use environments. © Versa 2019. Versa is a registered trading name, afilliated to Westcountry Group. Registered in England and Wales. Registered No. 4314613.